The wait for Symbian Anna is over. 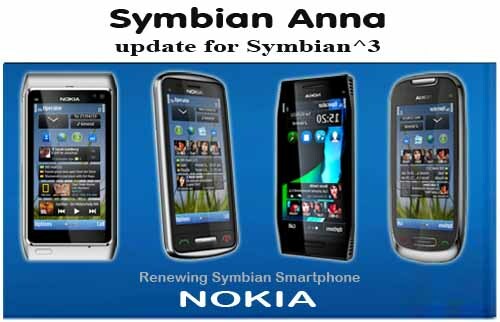 The much awaited software update started to roll out for all Symbian^3 devices all over the world. 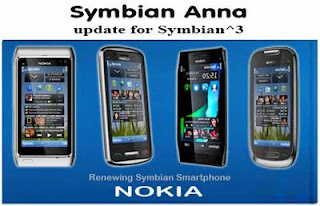 The Symbian Anna update is available both as OverTheAir [OTA] update and via OVI Suite. * Improved text input usability through the introduction of a portrait QWERTY keyboard and widespread use of split screen input. Split screen overlays text entry input boxes on existing screen elements and works in both portrait and landscape orientations. For example, in Maps a search can be entered and auto-completed results seen as you enter text. Similarly in Messaging, when you reply to a message in Conversations view you can see previous messages in the thread. * Updated Web application with a more intuitive user interface and faster performance. This includes a standard location for the address bar at the top of the page (with improved auto-complete, which benefits from the new split screen text entry), visual back button accessible at all times (bottom left), and a redesigned and more responsive ‘quick menu access’ floating button. Performance of page rendering has been improved, with an updated version of WebKit and improved scrolling and page navigation performance. The Web application continues to be based on the Symbian WebKit code base. * New fresh icons, delivered as part of a new theme. The icons are derived from the existing icongraphy, but with rounded edges, giving a more contemporary look and feel. * Draggable homescreen, making moving between homescreens more intuitive. Widgets now load on a as-needed basis improving performance and reducing the amount of memory used. * Ovi Maps 3.6, which is already available for existing devices (it recently graduated from Beta Labs). The major features in this version are improved search, the ability to share a location via email and SMS (including to non-Nokia phones), public transport overlays to map view, improved social check-in functionality and the ability to download country maps directly to the device over the air. * Updated Calendar application, which gains a split-screen month/day view. * Updated Mail application, with better use and layout of UI elements (most notably in email lists), faster rendering and scrolling of HTML emails and improved stability. * Improved enterprise and security in the Microsoft Exchange implementation (Mail for Exchange). Meeting requests are now fully supported and the updates also includes the provision of six new security policies, including enablers for the capability to turn encryption on remotely from Exchange device management tools. * Addition of device encryption functionality – the device, mass storage and microSD card memory can be optionally encrypted, with support for hardware accelerated encryption provided by the operating system. * New Intranet application, which makes it easier for corporate users to connect and access their company Intranet. * Pre-install of Microsoft Communicator Mobile for corporate IM and presence (currently available via Ovi Store for selected devices). * The latest version of Qt (4.7.3) and Qt Mobility (1.1.2), to improve developer productivity. This includes support for Qt Quick and a significant number of API improvements. Also included are Flashlite 4 and Java Runtime 2.2. * [Nokia C7 only]: The NFC (Near Field Communication) hardware in the Nokia C7 is activated by the update. It allows you tap C7′s together to share contacts, photo, video and play games. In addition NFC enabled accessories can be paired by tapping and the device can be used to read NFC tags. To update your phone via OTA update dial “*#0000#” and options->Check for Update to check whether the software update is available for you. Or you can connect to OVI suite to check for update too.